Stephen comes from a dancing family, with mom Kelly (Warner) MacLennan and aunt Melody (Warner) Cameron as primary influences. 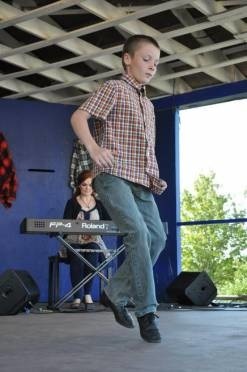 At just thirteen years old, he's been dancing in his community of Mabou for the last number of years, with impressive vigour and timing for someone of his young age. Stephen made his debut at Broad Cove in 2014 and we are happy to have him back again this year for our 60th concert.